Wolfsburg – VfL Wolfsburg will be banking on their impressive unbeaten home record to help them bounce back from their mauling in Munich when they host Hannover 96 on Saturday (kick-off 15:30CEST/13:30GMT). Wolfsburg are unbeaten in 25 home games, a record only FC Bayern München can match since the turn of the century.The 5-1 defeat to Bayern on Tuesday saw Wolfsburg concede almost three times as many goals as they had in their opening four matches (two).Dieter Hecking has been in the dug-out for 11 of the last 18 derbys between the pair (five with WOB, six with H96). 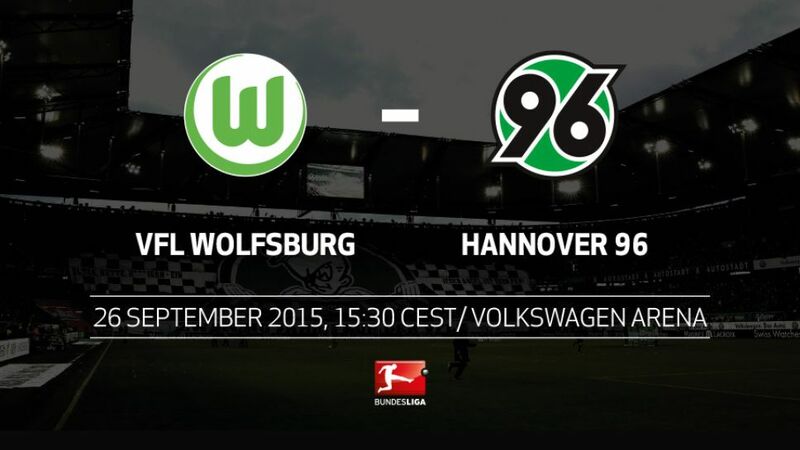 He has won just two of those games.Wolfsburg have won just one of their last seven meetings with Hannover, a 3-1 triumph away from home in December 2014.Hannover are unbeaten in three trips to Wolfsburg (two wins, one draw).Bas Dost has scored in each Wolfsburg home game this season, finding the net four times in total at the Volkswagen Arena.Hecking and Michael Frontzeck played five Bundesliga games together for Borussia Mönchengladbach during the 1984/85 season.